Do you think you need a tooth extraction? Well, tooth extraction is usual when you are down with a severely damaged tooth or malposition teeth or non-functioning tooth and so on. Besides, patients who have taken chemotherapy might also need tooth extraction as the treatment weakens down the immune system that eventually loosens the teeth. Now, regardless of the reason, you would have to consult a dental surgeon for your tooth extraction. Read the points below to know how to choose the right dentist in Glenwood for your tooth extraction. Your chosen dental clinic should be a reputed name in Glenwood with huge experience in dental surgery. We are one of the leading names in NSW with highly experienced dental surgeons who can assure you stress-free tooth extractions. We can help you with best possible tooth extraction, regardless of the reason behind the extraction. 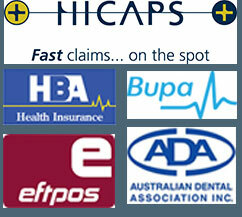 It’s always ideal to settle with dental clinics that boast of certified professionals. Board certification assures knowledgeable professionals who are well acquainted with the ins & outs of the whole surgical process. We always make sure to prepare the patient properly before the surgery to assure a hassle-free and efficient tooth extraction. Thus, as you come to us for tooth extraction, we will ask you about your dental & medical histories and get X-rays. It helps us to chart our treatment and surgery based on your typical condition so that your particular needs are addressed at their best. The doctors can also prescribe some antibiotics prior to the surgery to prepare them for the operation. We take care to ensure a painless tooth extraction and will follow all the needed measures, including sleep dentistry, to help you with a comfortable and pain-free tooth extraction experience.